An award from the ARC Centre of Excellence for Advanced Molecular Imaging is helping a PhD student drive the future of Australian science and innovation. 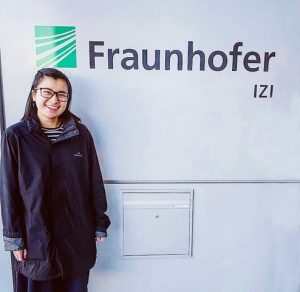 Holly Ung, from Professor Marcel Nold and Associate Professor Claudia Nold’s Research Group, is taking part in a 12-week research internship in Germany at the Fraunhofer Institute for Cell Therapy and Immunology IZI, at the Department of Cell-free and Cell-based Bioproduction. The placement assists students establish international relationships and develop new skills at the beginning of their careers. Holly Ung at the German-based Institute. Holly said a focus of the internship is to analyse therapeutic treatments using cell-free protein synthesis technology, with the goal of transferring biomedical research to the clinic. The Institute is renowned for its development of therapeutic treatments and first-class imaging technologies, which Holly said will be beneficial for her research. 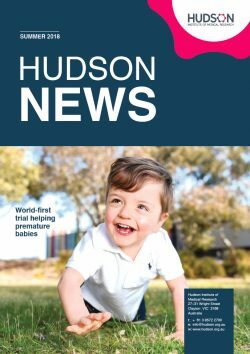 “We have gained new insights into how cell-free protein synthesis technology can be applied to current protein synthesis techniques and functional analyses,” Holly said. The production of protein using biological machinery, without the use of living cells. This news article was posted on 27 March, 2019 .